This blog contains full description for every home based business opportunities. The Super Affiliate System is an affiliate marketing training program that teaches beginners on how to get started with affiliate marketing. This program and its founder, John Crestani, claim that they can help you make money online in 2 hours if you follow the step-by-step of the Super Affiliate System. Who Is The Founder Of The Super Affiliate System? How Does Super Affiliate System Work? What Is The Cost To Join Super Affiliate System? Is Super Affiliate System A Good Investment? The Super Affiliate System is a ‘pay to play’ affiliate marketing training program. This program was started in 2015. It is a very popular affiliate marketing program. However, not everyone agrees with the success rate of this training system. One thing that everyone agrees is that Super Affiliate System is a legitimate business opportunity. This business opportunity system is the same as My Super Affiliate Mentor started by Misha, who has been in affiliate marketing for years. Super Affiliate System is just a rebranded of My Super Affiliate Mentor. John Crestani is the creator of the Super Affiliate System. John Crestani is in his late 20s and a very successful affiliate marketer from Santa Monica, California. John was a college dropout and found his first successful online affiliate marketing business selling health products called Nutryst.com. With his knowledge and online success, John creates the Super Affiliate System where he teaches people how to make money online and become successful like him. According to online reports, John is making at least $500k per month online with the Super Affiliate System. The Super Affiliate System is a 6-week affiliate marketing training program teaching people how to start and build a successful online business. The training is broken down into modules covering every topic of affiliate marketing business. Each module is about 1 week-long of lessons. Setting Up The System: This is the introduction to the Super Affiliate System and the initial steps to set up your affiliate marketing business. Many people skip this. Understanding and Believing in The System: success is about believing in oneself. Possessing the right mindset is the ultimate key to success. Learning the marketing skills: this is introductory to John Crestani’s copywriting formula. He will teach you how to talk to the “reptilian” part of the brain with some ninja psychology secrets. The 17-step copywriting formula that works! Basic Facebook and Google Ads: This is where you learn everything about Facebook and Google Ads. Native and YouTube Ads: this covers a different kind of online marketing method. With these ads, you can reach a large number of people online bring in bigger profits. 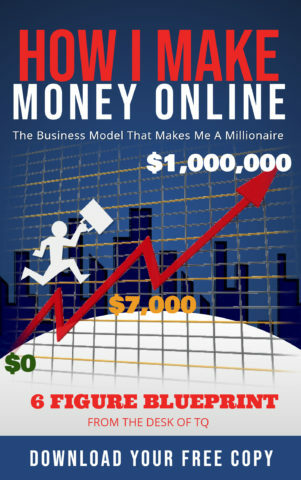 Scaling and Automating Your Online Business: the only way to make 6-figure a month is to scale and automate your online business. The 12-week training program has over 50+ hours of video lessons with daily tasks and assignments for each. In addition to these training videos, there are support systems offered by the Super Affiliate System to help students successfully completed the training process. JetsetLIVE: this is a weekly Live Webinar hosted by John to offer extra guidance and tips related to online marketing. Email Support: students can also ask questions using Email support. However, it really takes a long time to receive an answer. Jetset Forum: This allows Super Affiliate System members to discuss, share, and stay connected. Targeted Data: This is an email list of targeted potential buyers for members to run email marketing. Done for You Ad Campaigns (DFY): members get DFY banners, images, and the sample of targeting ads to use or modify in creating their own campaigns. Presell pages: members can use these presell pages to send traffic and build an audience. Ad Swipes: swipe files are used to stay in touch with potential customers. Swipe should never be copied as is. The program has one upsell which calls, ‘Extreme Case Study Achieve.’ I will cost you another $187. These are just collection of video interview series from other internet marketers which you have access to after paying the $187. The initial fee to join the Super Affiliate System 2.0 is $997. This allows you the full access to the 12-week training lessons and other support features. If you want the case study, this will cost you another $187. John Crestani has another program called Internet Jetset (IMJetset) program. If you are already a member of IMJetSet program, the Super Affiliate System is a upsell. However, if you purchase the Super Affiliate System first, then IMJetSet is Free. If you are thinking of purchasing the IMJetSet program, then get the Super Affiliate System first. The reason that we start an online business is to make money. This is what all business owners wanted! The reality is that it takes time to build a successful business. If a business opportunity offers you a way to make quick money online, then do your research. Super Affiliate System promises that you make a commission within 2 hours after completing their training program. Yes, this is possible, but it does not mean that you have a profitable online business within 2 hours. This is just a marketing scheme to get you signup. The biggest business problem with the Super Affiliate System is that the program offers no tools for students to actually build and practice their affiliate marketing skills. You need several essential tools to create and run a successful affiliate marketing business. For example, web hosting, keyword tool, website builder, etc. These are just the basic ones, and they cost money. When you purchase the Super Affiliate System, you only purchase the video lessons. I personally think it is too expensive ($1,184) for a bunch of videos. You can use the free tool service providers like SiteRubix and Jaaxy keyword tool with the Super Affiliate System to build and run your online business, but eventually, you will have to pay for these services. The best way to invest in your business is to choose a training program that offers both lessons and tools to help build a successful online business. There are a number of affiliate training programs, like the Wealthy Affiliate, that currently offers a complete package for you. If you are looking to start out in online affiliate marketing, I suggest you choose a program that offers you both training lessons and tools. Also remember, you should only join a program as a free member to test out the training first. Never commit to paying until you know for sure it is for you. I have over 20 years of online experiences. Click here to read my profile. If you have any question, just leave me a message here.